One of the Valley's most anticipated events... 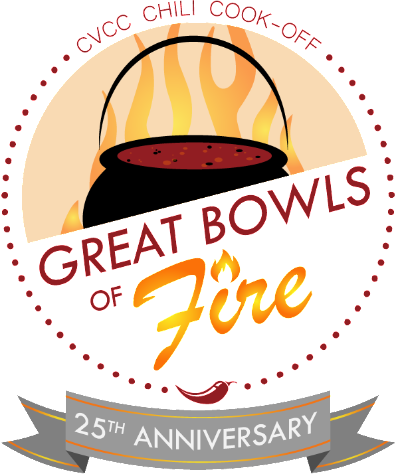 The CVWE always looks forward to the Carmel Valley Chili Cook-off!! This, the 25th annual, will be held at River Ranch Cafe at Carmel Valley Ranch on Wednesday, September 19, 2018 from 5 pm to 8 pm. It is a no-holds-barred cook-off of America's favorite comfort food. Gunning for the BEST-of-the-BEST title, the event pits many renowned local chefs as well as amateur chefs up against one another! Beyond the creative vegetarian, chicken, beef and other yummy prize winning chili that will hit your palette. Professional bartenders will be shaking up their signature drinks. If not a margarita with your chili, how about a brew... OR better yet how about some delicious wines from the Carmel Valley Wine Experience!! For up to date event information please visit the Carmel Valley Chamber of Commerce's webpage. Ticketing information and link will follow. -All proceeds benefit the Carmel Valley Chamber of Commerce, a 501 c 6.